The capital has recently been buzzing with news, rumours and gossip from the Wills Lifestyle Fashion Week, where designers showcased their beautiful collections for Spring Summer 14´. Shameless to say that we did go missing this time but made up for it on Day-5 by quickly catching up on each designer´s collection. The splendid pieces left us wanting to turn thieves but we somehow managed to keep sanity. Since, everyone has their favourites, we both also picked some of our most lusted pieces from the week. 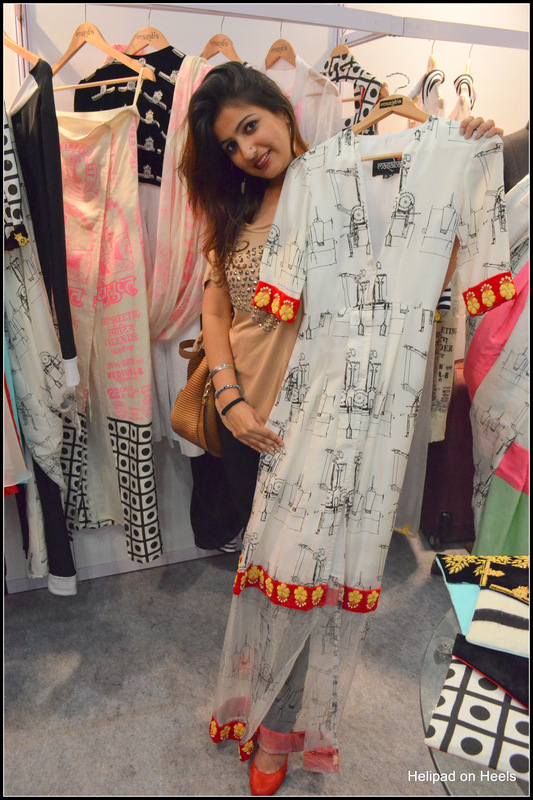 Much in talk, Masaba´s collection was a beautiful interplay of sporty and ethnic. There were some pieces that looked a little impractical in terms of silhouette and even wear-ability. 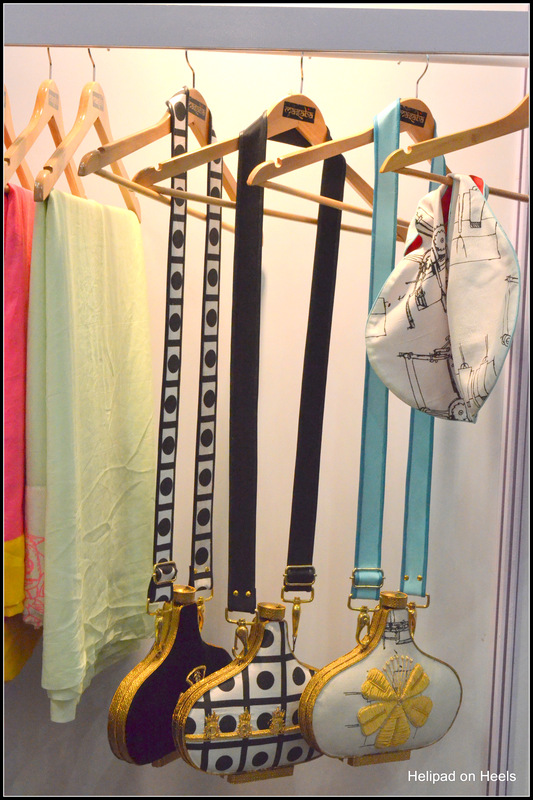 We did like some of the pieces and specially the two below apart from the very beautiful and interesting sling bags. Sonali loved the white printed piece and I fell for this blue and red striped dress with princely embroidery used to add contrast. 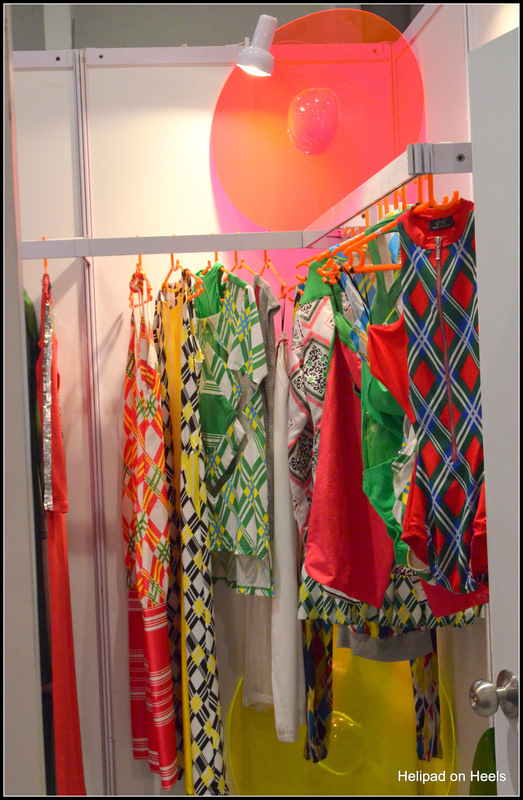 Below is a peek into the colours flashing out of Yogesh Chaudhary´s stall. 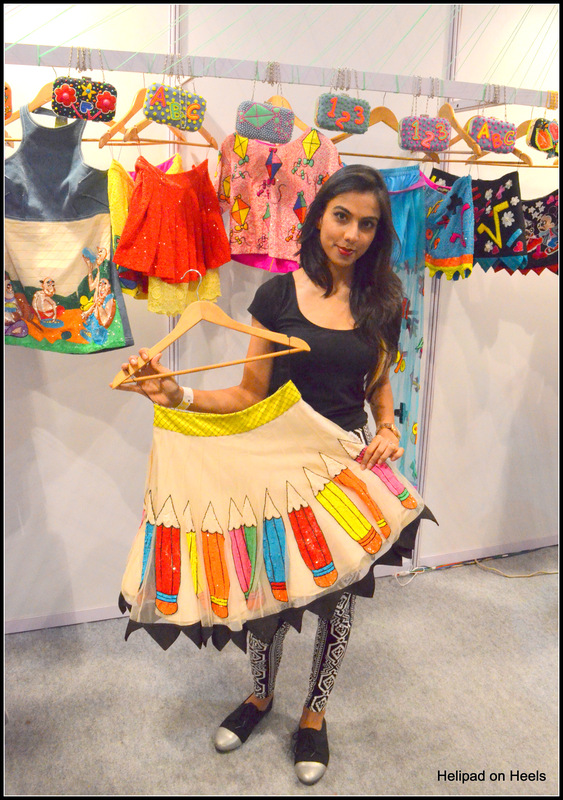 The pieces under the label called Surendri had a mix of spark, colour and lots of fun. Most importantly the pieces looked very wearable and contemporary. 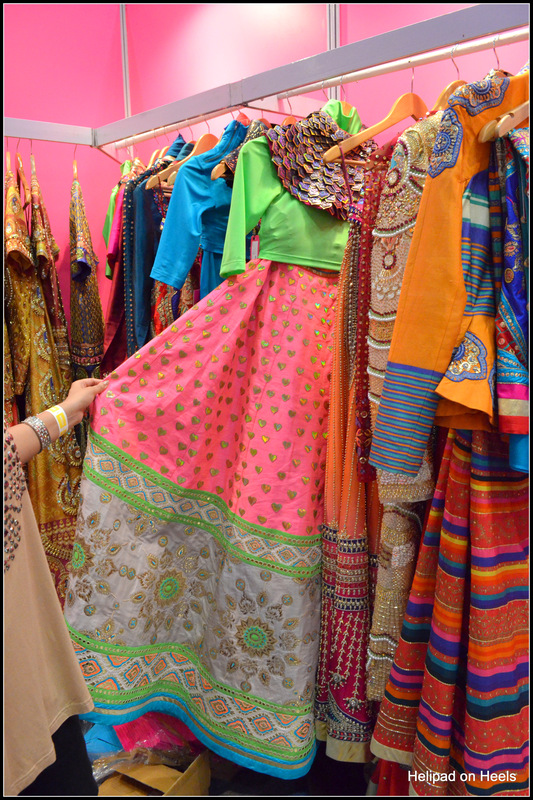 Do we need to mention that below is a shot from Manish Arora`s stall? The pieces speak out loud and with enough pride. It was our first time to see these Indian ethnic pieces from the designer and it was such a treat. I love this one the most. The pink and green combo with those way too cute hearts are something to heart. Now time for a relatively lesser known label, 5 Elements by Radhika Gupta that completely mesmerised us with trendy and quirky accessories. My pick are these two. Skull flats and statement clutch.! And honestly, I was a little confused what to pick for I liked so many pieces. Can I own them all? Are you listening Radhika! Well, if you thought that letters and numbers are for kindergarten text books then you might as well take a look at the pics below. 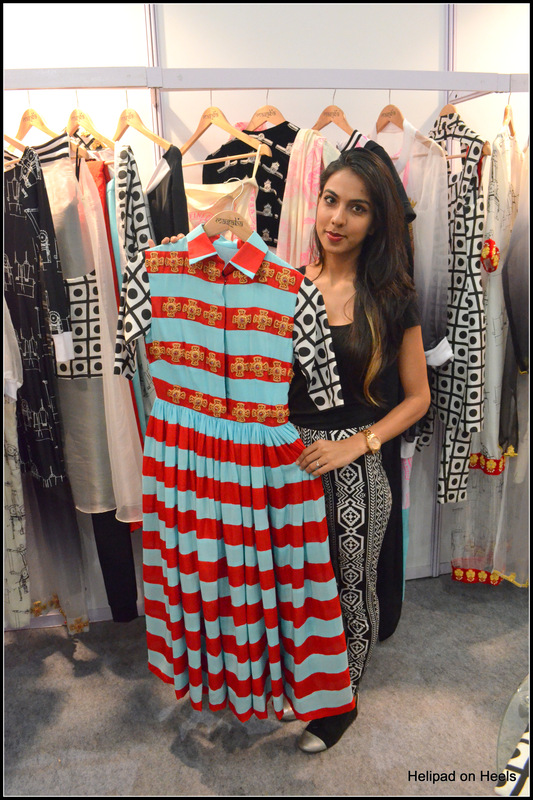 Creative designer, Niharika Pandey showed us how pencils, alphabets and more from school can define trends. And once we had visited all these fancy stalls, it was time to find something to quench our dry throats. 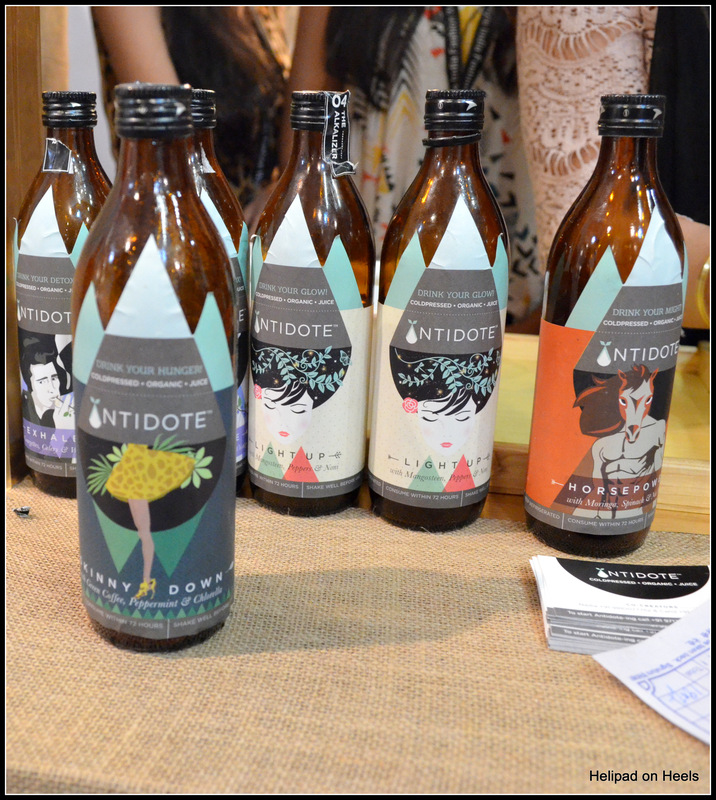 We were indeed lucky to discover Antidote. They are just what you should look out for! Organic, cold pressed and healthy juices! They are yummy and truly rejuvenating and needless to say a much better option to pick over fizz. This entry was posted in Beauty, Design, Fashion, Luxury, Uncategorized, Wellness and tagged Fashion, Fashion Designers, Masaba Gupta, Spring Summer, Trends, WIFW. Bookmark the permalink.